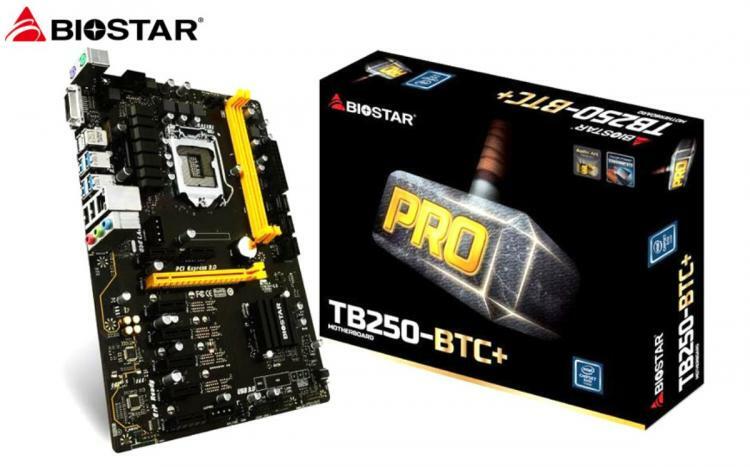 Cryptocurrency mining may have slumped a bit but that didn’t stop BIOSTAR from expanding their mining-oriented motherboard line-up as the brand intros the BIOSTAR TB250-BTC+ Motherboard. The TB250-BTC+ offers what BIOSTAR claims to be the ‘sweet spot’ for miners with its 8 PCIe lanes open for mining cards. This configuration stays within the safe limits of continuous load rating for a typical 15amp circuitry. With this, configurations can be maxed out without hitting some potential circuity issues. 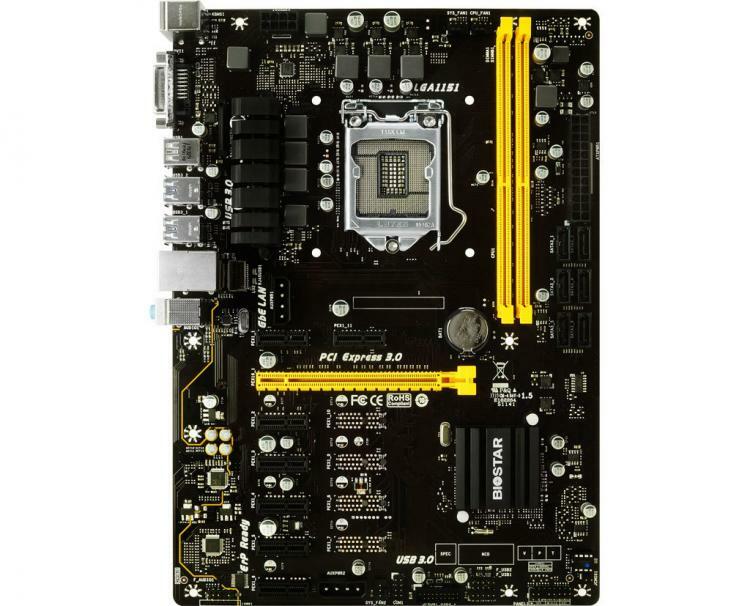 This motherboard supports both AMD Radeon and NVIDIA GeForce graphics cards for mining out of the box. 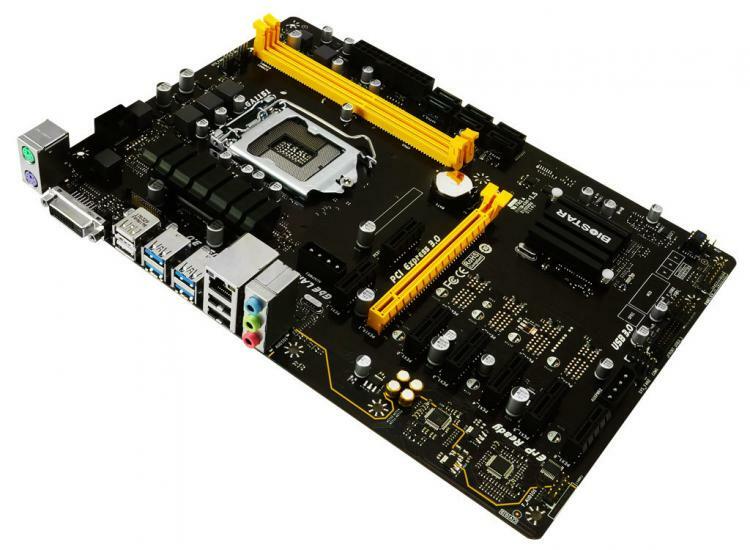 The BIOSTAR TB250-BTC+ supports Intel LGA 1151 sockets for 7th and 6th generation Intel processors with two DIMM slots supporting DDR4-2400/ 2133/ 1866 up to 32G maximum capacity. The motherboard is compatible with ethOS and multicoin mining for currencies such as: Ethereum, Zcash, Monero, and others. The BIOSTAR TB250-BTC+ is packed with features that support that demanding needs of mining. This includes BIOSTAR’s MoistureProof PCB feature to withstand the high-density and moist conditions, as well as Low RdsOn MOS for cooler temperatures and reduced energy loss. There’s also BIOSTAR's exclusive Anti-Surge protection, Super LAN Surge Protection and ESD Protection. Visit the BIOSTAR website for more information.